for use on white trainers and shoes. 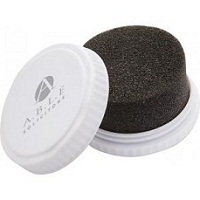 Small and unique - the Company Shoe Shine with Logo is small and portable, and has a screen printed area on the lid - big enough to be exposed and show off your company brand name and logo! Customise your full colour image and logo to print onto the surface! Make sure you hand these out as much as you can as the perfect business gift and ensure a good level of brand awareness is achieved!